Bass – American Pale Ale. Elden Flower – Champagne, St. Germaine, Hypnotic and Thyme. My beer came to the table just a notch above warm which I didn’t really like. However Jessica’s drink was refreshing and really well prepared. 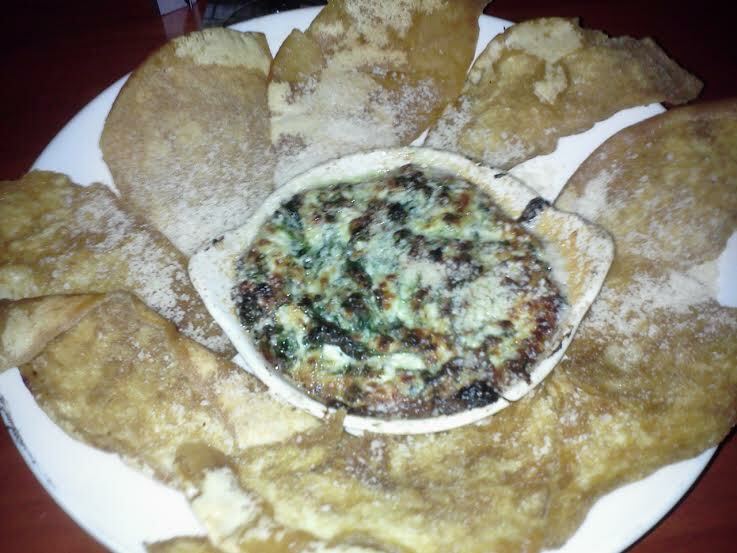 Spinach Cheese Dip – Baked with feta, jack, parmesan and cream cheese served with crispy flatbread. This spinach cheese dip came piping hot to the table with a unique crispy flatbread as the dipping chip. We definitely enjoyed this spinach dip because of the four-cheese blend and fresh spinach mixture. The only thing that I wasn’t too fond of was the crispy flatbread chips because some of them were more chewy than crispy. New York Steak Sandwich – Steak prepared to your specification, roasted Roma tomatoes, Swiss cheese, fried onions, garlic aioli with thin sliced fries. 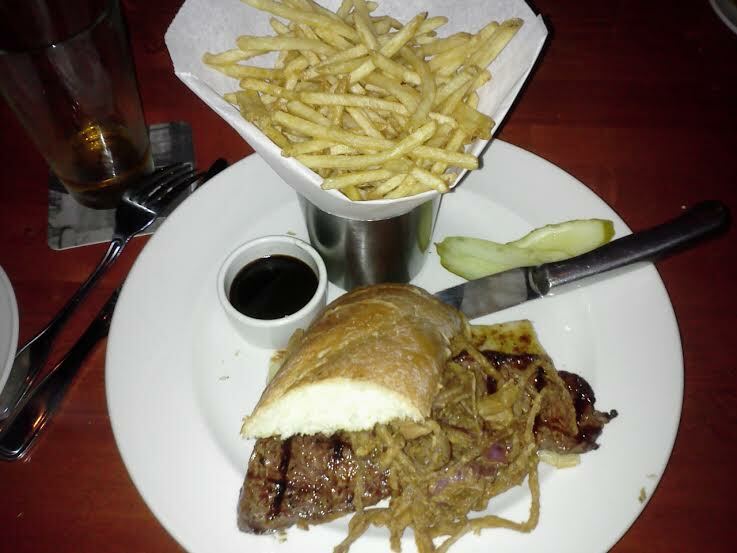 This steak sandwich was out of this world. Cooked to perfection, the thick steak had great flavor and the fried onions really worked well with the dish. This I would certainly order again if I return. 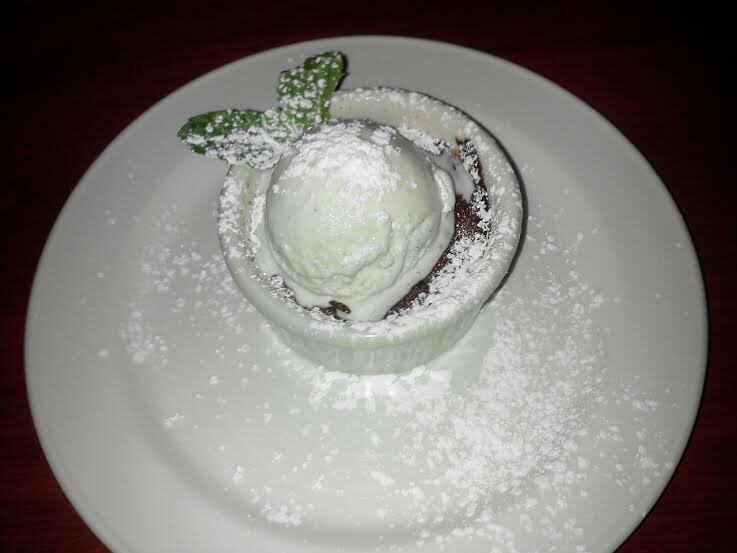 Mini Chocolate Soufflé – Served warm with a scoop of Vanilla ice cream. As far as chocolate soufflé is concerned, this desert was on point. I wouldn’t say that I loved the desert but it was good and I did enjoy the vanilla ice cream on top. Though this restaurant doesn’t really make the cut of my top ten, I still think it’s worth giving it a shot. 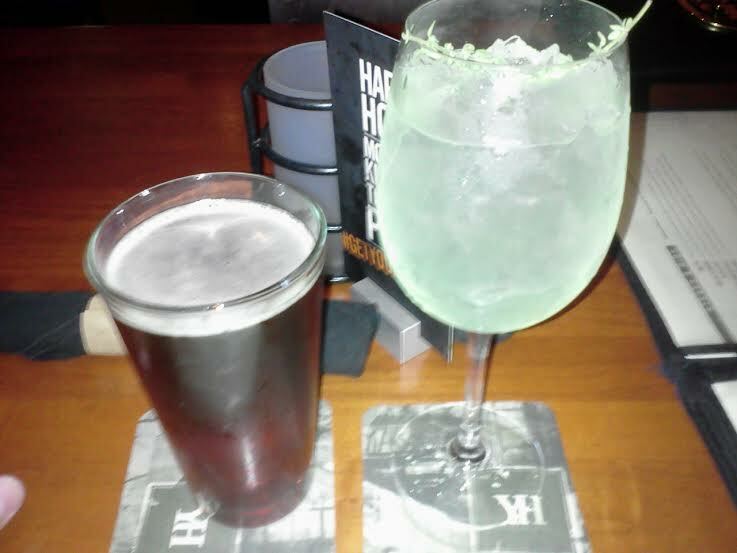 I will try going back to Yard House during the week when they have happy hour and specials to give it another shot. Thanks for stopping by and happy Monday everyone!